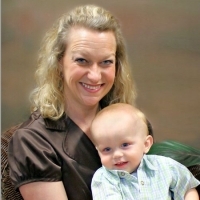 Teri joined the staff at Bridges of Hope Fellowship as our Children's Ministry Director in June of 2013. She brings with her years of experience in administration and leading leaders. She is great with organization, structure, training, and encouraging and motivation leaders and volunteers. She is a great asset to our team as we make the current transition in our Children's Ministry at Bridges of Hope. Teri is married to her husband, Rob. They have one son, Parker. The Nunleys make their home in the Centertown community of Warren County.